Tasmanian Museum and Art Gallery | Our land: parrawa, parrawa! Go away! This exhibition tells the story of Aboriginal people and colonists following the invasion of lutruwita, now called Tasmania, focusing on the Black War. Go on an immersive journey through this dark period of history, with objects, contemporary historical accounts and specially commissioned films all helping to bring the story to life. 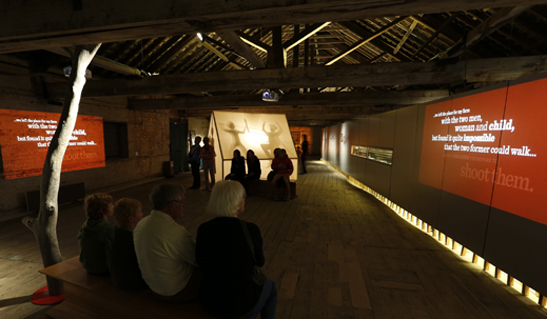 Watch an introductory video to the Bond Store exhibitions for teachers below. The URL for this page is: https://www.tmag.tas.gov.au/whats_on/exhibitions/permanent/our_land_parrawa,_parrawa!_go_away!